It was freezing bitter cold this weekend, so what better to do than curl up with a book and read about a romance at a ski resort. 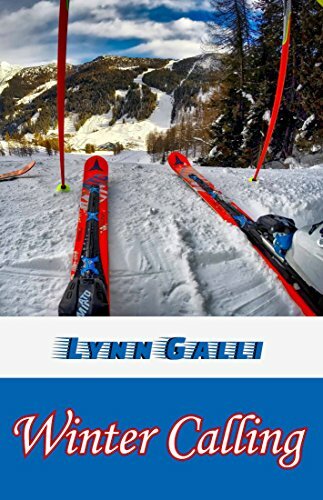 Winter Calling is by Lynn Galli, so you know it’s going to be a quality read. It was it totally was, it was a sweet romance that was a great way to pass a winter’s day. The book alternates between the point of view of both main characters. Tru Daring is the part of the Human Resources at the local ski resort. Tru is a likable, cheerful and always has something positive to say. She loves her job, her community and has the best relationship with her sister Blythe. She also has a huge crush on the new CFO, Renske Van der Valk. Renske is the opposite of Tru. She is an ice queen with a hard, no-nonsense personality. Her job is to improve the financial stability of the ski resort and she has made more enemies than friends turning this company around. Renske doesn’t mind that she hasn’t made any friends with her co-workers, she is a loner by nature but she does have a soft spot for one certain gregarious HR staff member. Renske thaws a bit after she begins to spend more time with Tru. She really melts when she befriends Blythe. The Daring sisters reveal the softer edges of the ice queen. Overall, the book is an adorable read. My one complaint it is on the short side. I adore this book. It made me laugh, smile, and best of all it pulled at my heart strings. I have read quite a few of Lynn Galli’s novels, this one in my humble opinion is her best. It is amazing! I have read a plethora (love that word) of a romance novels and this is absolutely one of the best. Right from the start of the book you are thrown into the crazy world of wedding planning. 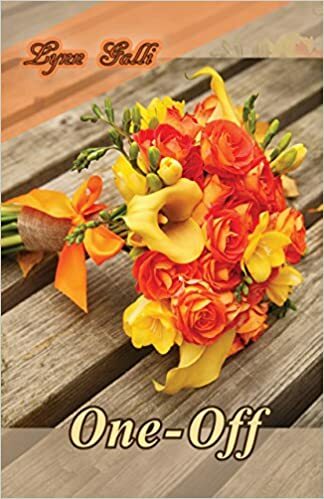 The main character is the maid of honor, Skye, and while she is happy for the bride and groom, she is anti-wedding. WHAT! Our other main character is Ainsley. Ainsley just happens to be the groom’s best woman and cousin. Small world is these two happened to be college roommates at Columbia, and are not exactly on best terms. Foes if you will. Thanks to the fast paced world of news reporting, the bride and groom jet off in the middle of planning their wedding to catch a new story. Skye and Ainsley are left holding the bag and forced to spend copious amounts of time together planning the dream wedding of their friends. These two banter, like an old married couple. They are witty and terribly funny a t the expense of the others feelings. Their dislike for each other makes for a fascinating progression from animosity to love. This is solid romance filled with humor, friendship and great storytelling. I wanted to start it again as soon as I finished. You will not be disappointed, One Off is fantastic.